There is a very famous line comparing the life with the Coin - Money is a small coin, health is a big coin, love is a lucky coin, friendship is a sweet coin and relationship is a gold coin. Collecting coin is still a hobby among the students but it is not as much as it used to be three-four decades back. Still, when a new coin is released in India, people have craze to keep it in their valet for some time. Children don’t mind to ask for a coin from the relative who has come from aboard as a part of their collection. Another interesting significance about the coin, which I have observed since my childhood is throwing it in the river water while crossing over the bridges. 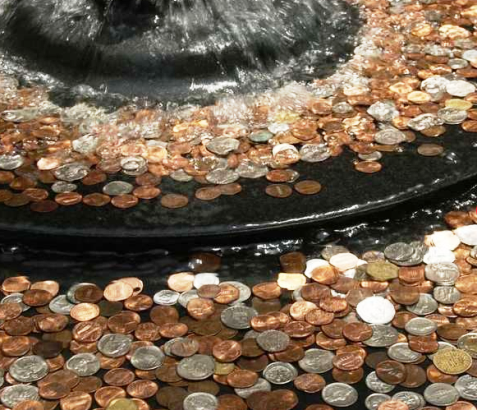 Since people used to throw the coin in the river, it becomes a tradition without knowing the background or logic behind it. Even during my visit to the foreign lands, it was seen a special small pool has been constructed at the centre of the Mall where the visitors used to throw a coin, without knowing its significance. But when I enquired at random in my circle, I was told it is a tradition for throwing in the river for a safe journey as if it is an offering to the river devta - God of River. Our grandparents used to store water in a copper vessel overnight and drink its water in the morning. The scientific reason behind it is that the copper gently leaches into the water and lends it its positive properties. Moreover, this water does not become stale and can be stored fresh for a long period of time. From the scientific point of view, in ancient times, most of the currency was made of copper dissimilar the stainless steel coins of today. In fact, copper is a vital metal for the human body as it helps in metabolism as our body cannot synthesize copper. In old times, there were no water purifiers and rivers were clear. Therefore, the supply of absorption must come from outside. It also helps to settle the dust particles to the bottom and making the water at the upper-level drinkable and cooking as well. I remember when at a get-together party by one of the leading electronic company distributed gifts to those who had one rupee note with the distinguished number with him, keeping a photograph of wife and parents in the purse, having maximum cash and number of ATM cards and lastly it was a copper coin with the centre hole. Luckily, I had all these and everyone present at the party was surprised when I won all the prizes. Frankly speaking, the custom of throwing coins in the river was encouraged in the past to ensure us 99.9% infection free water but those circumstances have totally changed and river water is fit for drinking only after passing it through the purifiers’ equipment – small filter plants at home. However, the original essence of this tradition is now lost into oblivion. 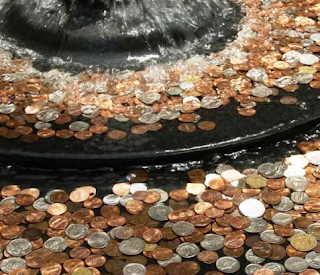 On knowing the reason or logic behind throwing a coin in a river or not, it’s up to you now!